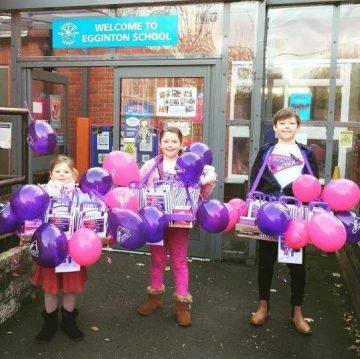 Have a purple fundraising day! Ditch the uniform and wear something purple for the day. A great way to get the whole school involved (including the teachers)! 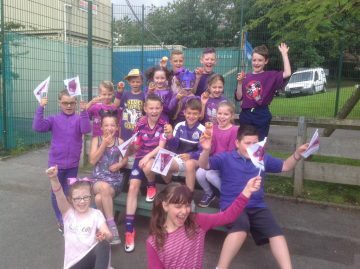 It only takes everyone bringing in a minimum of a £1 to their wear purple day and as a school you have instantly raised a great amount of funds. We can send you a “Name the Aware bear” pack and you can have a raffle or even a Purple Pound Stall bring in old books and toys and sell them for £1! 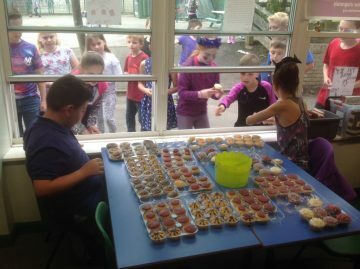 Have a purple themed bake sale! Take part in our Bake a Change initiative, either by downloading or ordering your pack here here! Purchase your own Pancreatic Cancer Action cake toppers here. Everyone can get involved in baking a cake or try a packet mix they’re super quick and tasty! You could even split it between the classes so you have a mix of sweet and savoury. 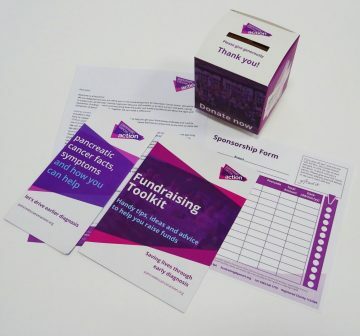 Take a look at our Fundraising A-Z for more fun ideas or come up with your own special day or event! Raising awareness in schools amongst the students and the parents really helps our mission to change the numbers for this terrible disease.